Mmm, mmm, now this is one yummy wild raw leafy green, that is, if you like peppery flavors as I do. Look for it in the cooler months, January being the high point in my central Florida location. The tender, small, young green seedpods and tiny white flowers may also be eaten raw, and are also peppery. 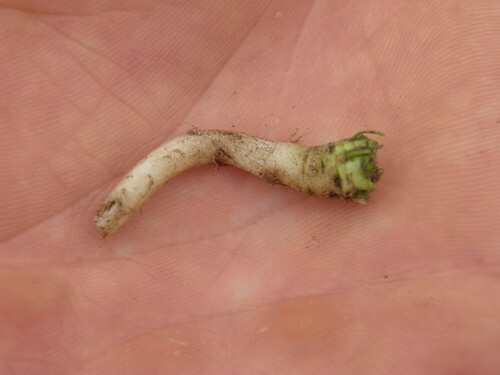 I have eaten the small roots raw as a trailside nibble, and have found them to be too fibrous. I have read that these roots make a horseradish-like sauce, which I have yet to try. Green Deane recommends making this sauce with vinegar and salt. When I do try to make it in my kitchen, I’ll report back. Medicinally, “it contains glucosinolates, which are known to help remove carcinogens from the body.” Consuming the aboveground portion seems to settle the stomach, and is a reported carminative an digestive. Search for this diminutive plant along stream and riverbanks and other wet areas. And when you meet it out in the wild, tell it that Andy says hello, and sends his best. Oh, one more thing, BE SURE not to confuse it with our very toxic Butterweed, a wild plant found in similar damp habitats. Butterweed has somewhat similar leaves, and showy bright yellow flowers, as opposed to the small white flowers of this bittercress. 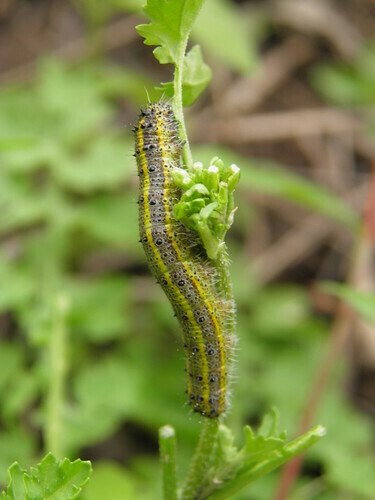 LOOK ALIKES: Make sure that you are not harvesting young Butterweed, which has yellow flowers. It is very toxic. EDIBLE YOUNG LEAVES, STEMS: I really enjoy eating this diminutive annual green. Eaten raw or cooked. Older leaves may be better cooked. Peppery, sometimes slightly bitter, delicious. “An excellent Watercress substitute.” [4/105?] 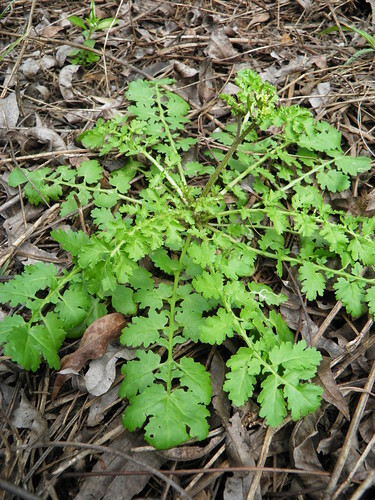 “The flavor of this plant is similar to broccoli rabe but a much milder. “  Harvest from winter through April in central Florida. 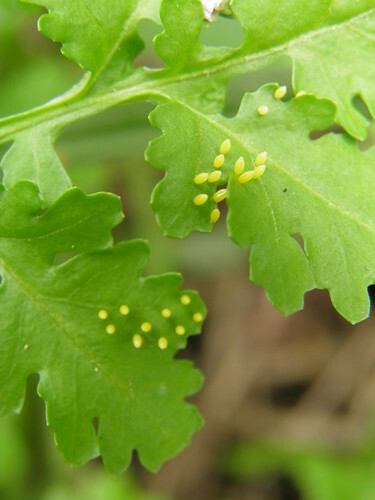 CAUTION: At certain times of the year, tiny butterfly eggs may be common on the leaves. Discard or do not pick these ones. EDIBLE SEEDPODS: “Seedpods raw or pickled.”  Peppery. EDIBLE ROOTS: “The grated raw root is used as a condiment.” [4/20?] Green Deane writes, that “some roots can make a good horseradish substitute,” and the “it is not at all unusual for the roots of such plants to be ground up and mixed with vinegar and salt to make a horseradish kind of sauce.” I have eaten the raw roots as a trailside nibble and have always found them to be too fibrous. I will try grinding them in the kitchen, and attempt to make a horseradish-like sauce. I will report back. POULTRY FORAGE: Chickens and ducks enjoy munching on this low-growing, tender plant. WILDLIFE: It is host to a certain butterfly, which I have yet to identify. NATIVE TO: North America, “Newfoundland to Minnesota and Montana, south to Florida, Tennessee and Kansas.”  In Florida, most counties across the entire state. DESCRIPTION: A somewhat inconspicuous annual or usually biennial small herb. Pfaf.org lists it as a perennial as well, which is questionable. - FLOWERS: Flowers tiny [1/16-1/8 inches wide], white, four petaled. 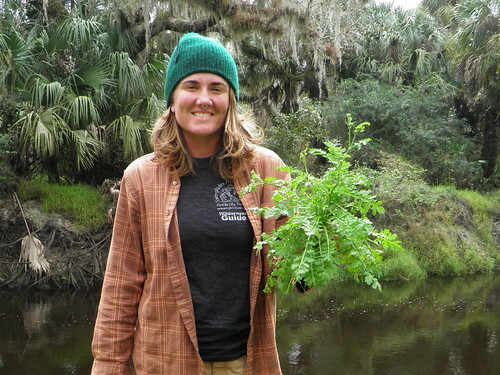 I find it here in south-central Florida appearing from winter through April, although Green Deane says “April to October.” Often, two wildcrafters are both correct, via different experiences in varying parts of the state. - FRUIT: A thin seedpod. - C. bubosa– BULBOUS BITTERCRESS - native – many scattered counties, Polk northward. - C. concatenata– CUTLEAF TOOTHCUP [aka Cutleaf Bittercress] – native – 3 panhandle counties. The leaves leaf looks like another wild plant, Tread-softly, without the spines. NOTE: The main photo in this set was taken December 20, 2015, at Prairie Creek Preserve, Punta Gorda, FL. - HARDINESS: USDA zones 4-8. - LIGHT: Semi-shade to sun.